Introducing the solution to the ‘Are we there yet’s?’ and ‘I’m hungry’s’ that can fill your summer holiday. IHG ® Rewards Club members receive up to an additional 5% saving. Fergs Kayaks is one of Auckland’s most iconic kayaking centres, and provides a fun, safe experience for the first time paddler and the more experienced. Located in the beautiful Okahu bay, Fergs Kayaks is a short 10 minute drive from Crowne Plaza Auckland hotel. Check out the full range of rental gear on their website. 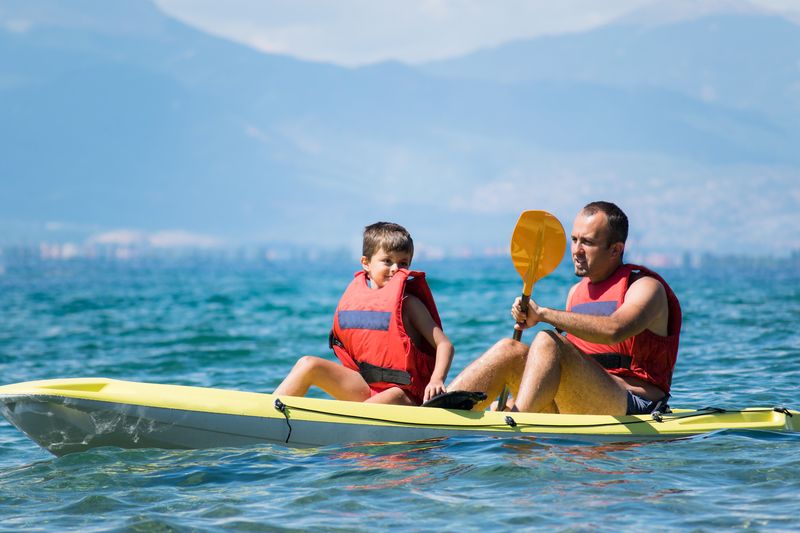 It is recommended that guests call or email Fergs Kayaks at least one day prior to secure equipment hire. This package is for two adults and two children (under 18 years old). Minimum of two night stay. Bookings are subject to availability. May not be combined with any other offers and blackout dates may apply. $100 Fergs Kayaks voucher can be used toward guest choice of Kayak, Paddle board, Bike or Roller blade hire. Guests must contact Fergs Kayaks prior to arrival to secure rental equipment. Voucher is to be used for rental only and cannot be used for Kayak tours. Voucher is not redeemable or exchangeable for cash. Limit to one voucher per room, per stay. Children under 12 dine free when ordering lunch or dinner in the hotel’s dine-in restaurant from the Kids’ Menu, and when accompanied by at least one adult who is registered as a hotel guest and who orders at least one main course from the full priced menu. If two rooms are booked for the stay, the hotel will endeavour to provide interconnecting rooms.